Minnie is asking the right questions because she knows that style and fashion is crucial to looking your best! 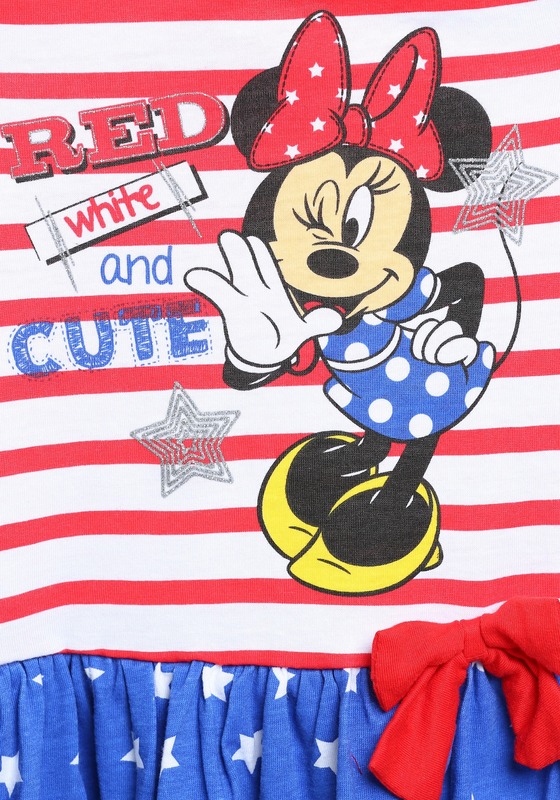 While Minnie opted for white polka dots, a red dress, and a poofy bow, you don’t have to follow her fashion pursuits quite to a T, but that doesn’t mean that you can’t have a picture of your fashion icon on your own fashion statement! 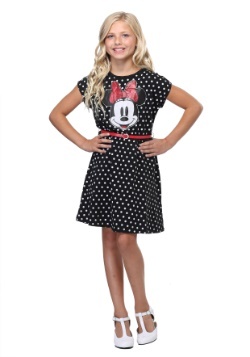 This is an officially licensed Minnie Mouse Red White and Cute Girls Dress, perfect for any occasion! 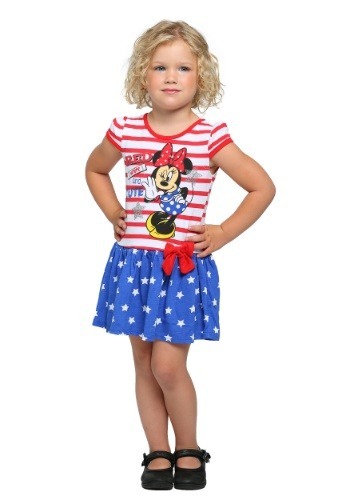 You will stand out from the crowd on Forth of July in this adorable dress, and you are sure to shine as bright as a star at school as well! Mickey Mouse may be the most beloved mouse in America, but Minnie Mouse it eh nation’s sweetheart, or maybe sweetmouse with the biggest heart possible! You are sure to be hip and patriotic when you wear this cute and fun Minnie Mouse Red White and Cute Girls Dress! 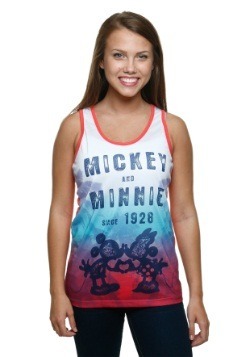 Maybe you will even find your Mickey to your Minnie! 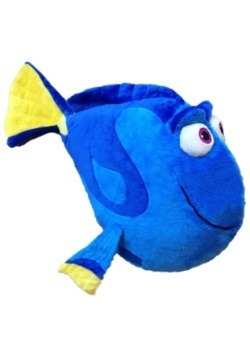 Size 6 - $9.99 6X - $14.99 Only 4 left!